Background: Percutaneous coronary intervention (PCI) is the main treatment in patients with acute coronary syndromes (ACS). Current guidelines recommend the administration of a loading dose of clopidogrel, ticagrelor or prasugrel during the procedure. Ticagrelor and prasugrel have proven to overcome some limitation related to clopidrogrel administration as of pharmacological resistance. P2Y12 antagonists increase adenosine concentration by inhibiting red blood cells reuptake and induces adenosine triphosphate release from human red blood cells, which is further degraded to adenosine. Ticagrelor has been demonstrated to increase the coronary blood flow velocity more than prasugrel, as assessed by transthoracic Doppler echocardiography after incremental doses of adenosine administration. Currently, no data are available on comparison between prasugrel and clopidrogrel in term of vasodilation effect evaluated invasively. Methods/Design: This prospective, single-center, investigator-initiated, randomized controlled trial will compare the adenosine induced coronary dilatation after the treatment with ticagrelor (180 mg) versus prasugrel (60 mg) in patients with ACS undergoing PCI. A total of 90 patients, aged ≥ 18 and ≤ 75 years, admitted with ACS, treated by PCI with stent implantation and with a second intermediate non-culprit lesion will be included and randomized 1:1 to prasugrel (60 mg) or ticagrelor (180 mg). Coronary flow reserve (CFR), the study endpoint, will be recorded before the stent implantation on the intermediate lesion, then immediately after the stent implantation and during the adenosine intravenous administration at incremental doses of 50, 80, 110 and 140 μg/kg/min with 2-minute interval between infusions. Discussion: Our clinical trial, for the first time, will evaluate the supposed adenosine induced effect of the ticagrelor in terms of coronary vasodilatation calculated by CFR. Currently, CFR represents the gold standard to assess the ability of the myocardium to increase blood flow in response to maximal exercise. Furthermore, this trial will be the first to compare the effects of ticagrelor versus prasugrel on patients ACS. This trial will allow to better understand the physiological pathway of coronary vasodilatiation induced by ticagrelor versus prasugrel using invasive methods. Trial registration: ClinicalTrials.gov identifier: NCT02032303; registered on December 18, 2013. Ethics: The study was approved by the Ethics Committee of Policlinico Umberto I Rome Hospital (approval No. 2322/15) and will be performed in accordance with the ethical standards of the responsible committee on human experimentation and the Declaration of Helsinki. 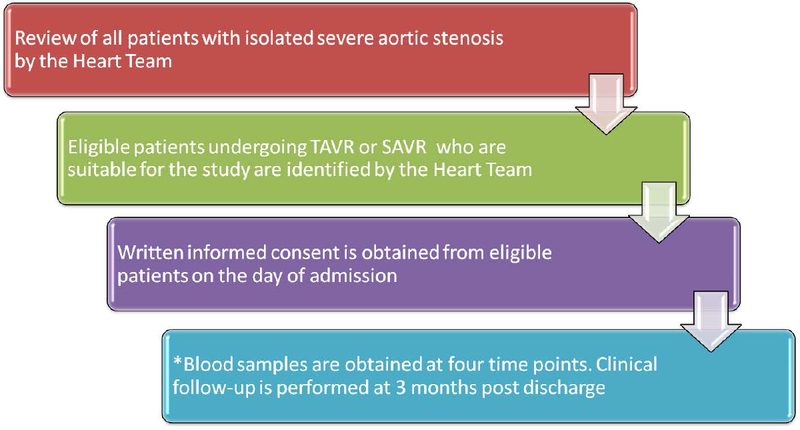 Informed consent: A signed informed consent will be given by each patient with ACS before undergoing angiography. Background: Heart failure is one of the leading causes of morbidity and mortality in the world. Mortality remains high (50%), despite optimal treatment according to the recommendations of the European Society of Cardiology (ESC) and Russian Society of Cardiology (RSC). Tremendous evidence has emerged over the past decades that heart failure is associated with inflammation. However, anti-inflammatory therapy widely lacks positive outcomes. 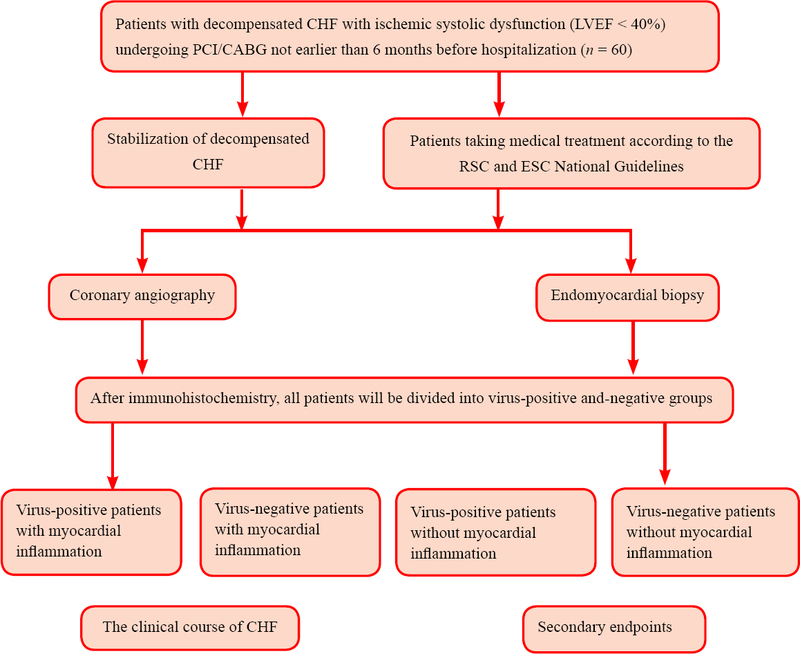 Currently, there are no clinical studies investigating the molecular and cellular phenotypes of inflammation in myocardial tissue (viral, viral and autoimmune, and autoimmune types of inflammation) in patients with decompensated chronic heart failure (CHF). Therefore this study aims to develop a new medicinal drugs and approaches to treatment of decompensated CHF. Methods/Design: This open-label, nonrandomized, single-center, prospective trial includes decompensated CHF patients with ischemic systolic dysfunction (left ventricular ejection fraction < 40%) undergoing percutaneous coronary intervention (PCI)/coronary artery bypass graft (CABG) not earlier than 6 months before hospitalization. This group of patients will receive standard treatment of acute decompensated CHF according to RSC national guidelines and ESC guidelines. All patients will undergo coronary angiography to exclude ischemic etiology of decompensated CHF and endomyocardial biopsy to determine type of inflammation in the myocardium by immunohistochemistry. 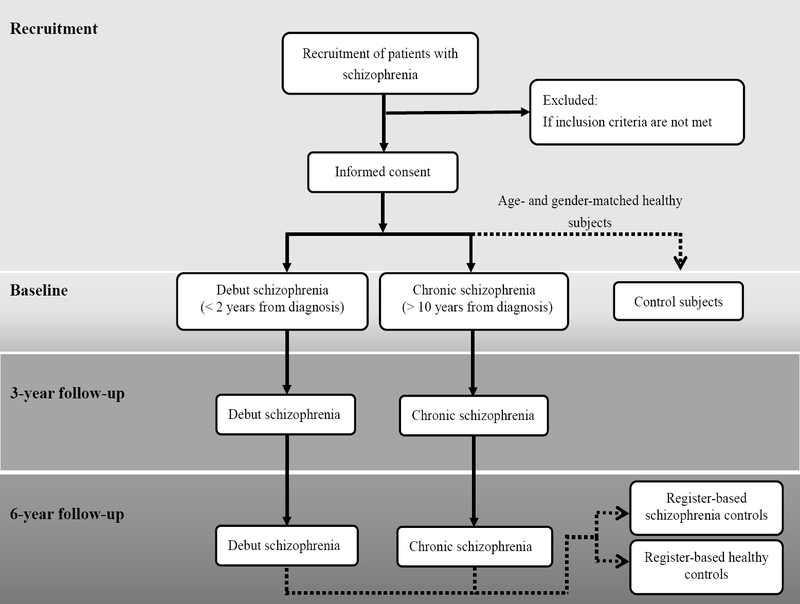 The following parameters are assessed during hospitalization and at 12-month follow-up: inflammatory infiltrate in the myocardial tissue, incidence of acute myocardial infarction, incidence of cardiac rhythm and conduction disturbances, left ventricular ejection fraction, end-diastolic and end-systolic volumes, mortality rate, incidence of stroke, and the rates of hospital admission due to the progression of CHF. Discussion: Elucidation of inflammatory infiltrate types in the myocardium and determination of frequency of their occurrences in patients with decompensated CHF and ischemic systolic dysfunction will contribute to the development of new pharmacological approaches to CHF treatment. Trial registration: ClinicalTrials.gov Identifier: NCT02649517; registered on January 5, 2016. Ethics: The study protocol follows the Declaration of Helsinki and has been approved by the Ethics Committee of the authors' institution on April 20, 2015. The study complies with the National Standard of Good Clinical Practice (RF GOST P52379-2005 form April 1, 2006) and with the international guidelines for Good Clinical Practice. Informed consent: Investigators or investigator-authorized officers will be responsible for explaining the objective, content, study procedures, benefits, and risks of participating in the clinical trial to each patient or the patient's legal representative. Written informed consent will be obtained from all patients before the start of the trial. Background: Shared decision making is an emerging approach through which physicians and patients can reach health care decisions based on mutual agreement. Scientific physician-patient shared decision making can facilitate selection of optimized treatments, improvement in curative effects, postoperative prognosis, and short-term and long-term rehabilitation in patients with coronary heart disease. However, there have been no studies on Chinese physicians' and patients' attitude to shared decision making. Methods/Design: This is a multicenter, large sample, cross-sectional, open-label, clinical survey. Participants are 1,000 Chinese patients with coronary heart disease and 200 medical staff members of both sexes over 18 years old. The primary survey index is the satisfaction of medical staff members and coronary heart disease patients with shared decision making. The secondary survey indices include staff and patient satisfaction with a clinical decision-making aid, patients' awareness of disease risk and curative benefits, and physician-patient trust. Discussion: This study is the first to investigate the attitude of Chinese medical staff members and coronary heart disease patients to clinical shared decision making and to examine the feasibility of using this approach. 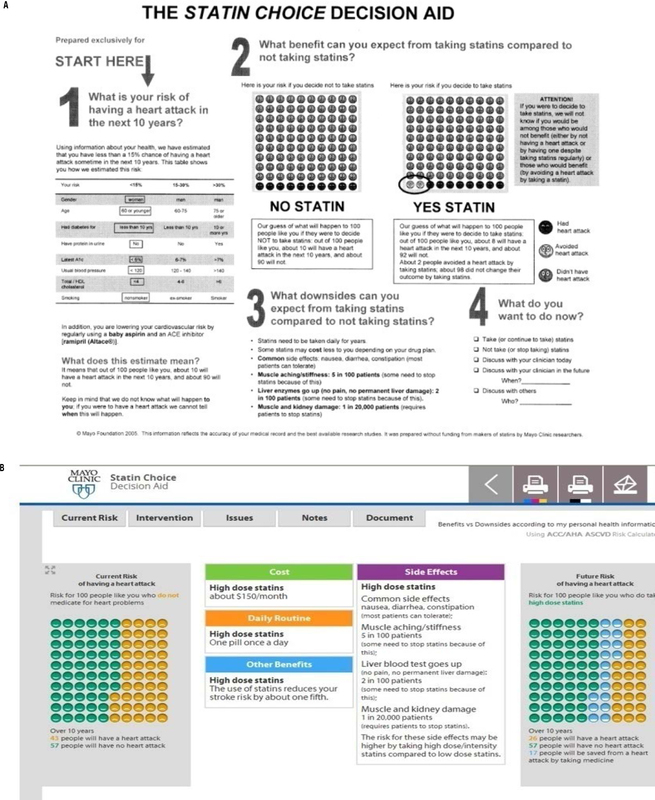 This study provides an evidence-based foundation for investigating the problems and solutions of clinical shared decision making and strengthening the adherence to statin medication in patients with coronary heart disease. Trial registration: This study protocol was registered at Chinese Clinical Trial Registry (registration number: ChiCTR-OCS-14004646). Ethics: This study protocol has been approved by Ethics Committee, The First Affiliated Hospital of Dalian Medical University (approval number: LCKY2014-14) and will be performed in strict accordance with the Declaration of Helsinki, formulated by the World Medical Association. Informed consent: Signed informed consent will be obtained from each included subject. Background: A large number of approximately 600 known neurological diseases have no or limited medical interventions; many treatments are temporizing or only marginally effective and have changed little over decades. The Neurologic Stem Cell Treatment Study (NEST) utilizes bone marrow derived stem cells (BMSCs) for neurological diseases and injuries to nervous tissue. 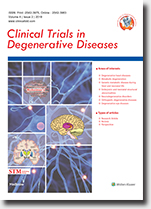 Methods/Design: Administration of BMSCs is an established approach for the treatment of neurological diseases and injury with its effectiveness verified in the pre-clinical and clinical studies. BMSCs and the associated bone marrow fraction are posited to have a number of different mechanisms by which they may potentially improve neurological function. The circumventricular organs which lie in the wall of the third ventricle are noteworthy for a minimized or absent blood-brain barrier (BBB) facilitating entry of intravenously provided BMSCs. There is documentation in the literature that intranasal delivery of BMSCs may follow the pathways of the trigeminal nerves, facilitating their entry into the pons, brain parenchyma and cerebral spinal fluid (CSF) for effects on the CNS. The NEST is an open label, non-randomized, efficacy study with two arms. Arm 1 consists of intravenous autologous BMSCs alone; Arm 2 combines intravenous with intranasal application of BMSCs to the lower 1/3 of the nasal mucosa. There will be a total of 300 patients in the study. Endpoints include at least a 10% improvement in neurological function. Discussion: There have been a number of preclinical studies establishing the utility of intravenous and intranasal methods in providing access to the CNS for certain drugs, proteins and cellular elements. Preclinical and clinical studies utilizing BMSCs have shown positive effects in various neurological diseases. It is anticipated that combining these two administration methods for BMSCs delivery to the brain may provide a greater therapeutic response. Trial registration: ClinicalTrials.gov identifier NCT02795052; registered on June 6, 2016. Ethics: This study protocol has been Institutional Review Board (IRB) approved and will be performed in accordance with principles of research ethics set forth in the Belmont Report. Informed consent: Signed informed consent will be obtained from the patients or their guardians. Background: Minimally invasive (MIS) lumbar fusion is a frequently utilized treatment for lumbar degenerative pathology. Interbody cages have been the preferred fusion construct in these procedures due to their ability to facilitate fusion and provide structural stability. However, due to the anatomic small access corridor of minimally invasive lumbar fusion procedures, the interbody cages used in these techniques are often limited in size, increasing the risk for pseudarthrosis and subsidence. Expandable interbody cages have been developed to overcome these risks in limitations. However, few clinical studies have been developed and initiated to describe the fusion rates, clinical outcomes, and complication rates in patients receiving these expandable cages. Methods/Design: A prospective case series of 30 patients receiving the FLXFit expandable interbody cage device is currently underway. 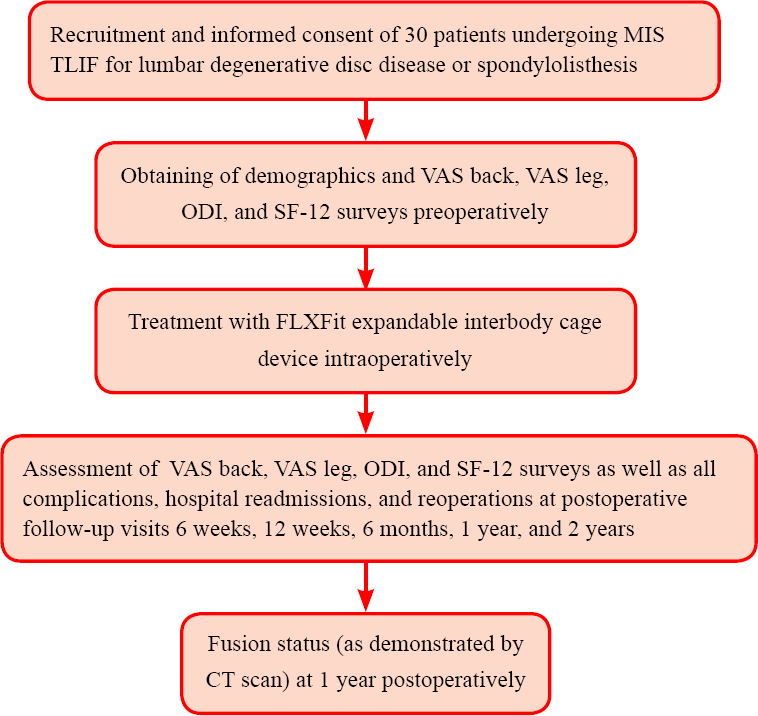 Patients to undergo MIS transforaminal lumbar interbody fusion (TLIF) for degenerative pathology will be recruited based on their meeting of inclusion criteria and eligibility to receive the expandable cage device. Patient follow-up will occur at 6 weeks, 3 months, 6 months, 1 year, and 2 years. The primary outcome will be fusion status at 1-year, as measured by computed tomography (CT) scan. Patient reported outcomes and radiographic measurements will be obtained preoperatively and at all postoperative time points. All complications, reoperations, and hospital readmissions occurring during follow up will also be recorded. Discussion: This protocol is designed to better describe the outcomes and complications following the utilization of the FLXFit expandable interbody cage device following MIS TLIF. The present manuscript provides the process for patient selection, intervention, and follow-up. Trial registration: ClinicalTrials.gov identifier NCT02805985; registered on June 15, 2016. Ethics: The study protocol has been approved by the Rush University Institutional Review Board (IRB), and will be performed under the ethical standards of the IRB. Informed consent: Signed informed consent will be obtained from each patient. Background: Phacoemulsification with intraocular lens (IOL) implantation has become a well-established treatment for senile cataract. The ideal IOL is characterized by good biocompatibility and resolution, with no spherical aberration. The Acri.LISA 366D is a refractive/diffractive multifocal IOL that differs from traditional multifocal IOLs. Its unique optical design can improve the patient's vision and reduce incident ray scattering, glare and halo. The goal of this study is to perform a comparative analysis between the Acri.LISA 366D and the Tecnis Z9001 diffractive multifocal IOL, to determine if there are any differences in biocompatibility and improvement in visual acuity. Methods/Design: A prospective, single-center, randomized, double-blind, parallel-controlled study will be conducted at the Affiliated Hospital of Qinghai University in China. Forty cataract patients aged 50-80 years will be randomly assigned to either the Acri.LISA 366D or Tecnis Z9001 IOL (n = 20 per group). The primary outcome of the trial is to investigate the biocompatibility of the IOL after implantation. The secondary outcome is the best corrected visual acuity. 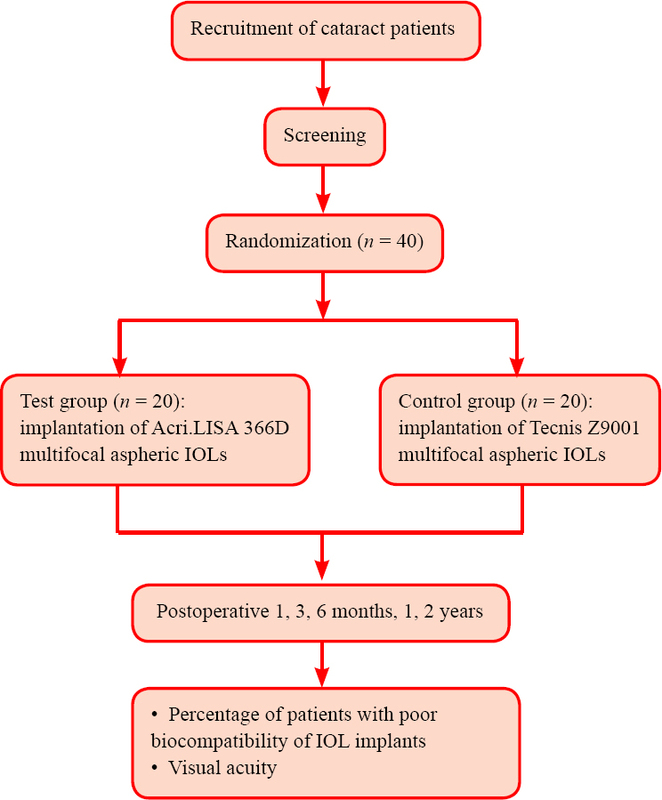 Outcome measures will be evaluated at 1, 3, 6 months, 1, 2 years after IOL implantation. Discussion: It is anticipated that the data collected from this trial will provide evidence for IOL selection in senile cataract patients. Trial registration: ClinicalTrials.gov identifier: NCT02966496; registered on 9 November 2016. Ethics: This trial has been approved by the Ethics Committee, Affiliated Hospital of Qinghai University, China (approval number: QHY1107K) and will be performed in accordance with the Declaration of Helsinki, formulated by the World Medical Association. Informed consent: Signed informed consent will be obtained from the patients or their guardians.